Office Hours: Thursdays 1:30 p.m.-3:30 p.m.
“The Scholarship of Community Engagement” Hispania. Volume 96, Number 2 (June 2013). Special issue with Ethel Jorge and Josef Hellebrandt, guest editors. “The Scholarship of Community Engagement: Advancing Partnerships in Spanish and Portuguese” (lead article), Hispania, vol. 96, no. 2 (June 2013). With Josef Hellebrandt. “The Intergenerational Aspects of an Undergraduate Community-Based Spanish Learning Program,” Journal of Intergenerational Relationships, vol.9, no.3 (August 2011). “Assessing the Value of a Community-based Approach to Language and Cultural Learning: A Longitudinal Study,” Journal of Scholarship of Teaching and Learning, vol.11, no.1 (January 2011). “Where’s the Community?” Hispania, vol.93, no.1 (March 2010). “A Conversation about Language Teaching and Social Justice,” Hispania, vol.91.no.1 (March 2008). “Moving beyond the Classroom: Creating Community-Based Learning Opportunities to Enhance Language Learning”. Hispania, vol.91, no.1 (March 2008). “Community-based Spanish Language and Culture Program,” inMartha J. LaBare, ed., First-Year Civic Engagement: Sound Foundations for College, Citizenship and Democracy. New York: New York Times and The National Resource Center for the First-Year Experience and Students in Transition, 2007. Exploring Spanish across the Curriculum: Garment Workers in Los Angeles,” Hispania, vol.89, no.1 (March 2006). “Community Engagement in Spanish and Portuguese: K-12 Representation in Scholarship,” presentation at the American Association of Teachers of Spanish and Portuguese Annual Conference, San Antonio, TX, July 2013. With Josef Hellebrandt. Community-based language learning workshop leader at the STARTALK Portuguese Teacher Training program, University of Boston, Boston, MA, August 2013. Community-based language learning. Portuguese Teacher Training Program. StarTalk grant. University of Boston, August 2013. “Community Engagement in Spanish and Portuguese: K-12 Representation in Scholarship” co-presented with Josef Hellebrant at the American Association of Teachers of Spanish and Portuguese Annual Conference, San Antonio, Texas, July 2013. “Service-Learning in Spanish: Faculty Roles and Rewards: Results from a National Survey,” co-presented with Josef Hellebrant at the American Association of Teachers of Spanish and Portuguese Annual Conference, San Juan, Puerto Rico, July 2012. “Spanish in the Community and Children of Immigrants,” paper presented at the Annual Conference of the American Association of Teachers of Spanish and Portuguese, Guadalajara, Mexico, July 10-13, 2010. “Community-Based Learning: How? When? Why?” workshop offered at Annual Conference of the American Association of Teachers of Spanish and Portuguese, Guadalajara, Mexico, July 10-13, 2010. “Uruguayan Cultural Practices of Intimacy,” paper presented at the Blastallet Cultural Center, Gothenburg, Sweden, December 7, 2010. “Un Ritual de Intimidad” (DVD/documentary), 2010. Screenings were held at: Edelstein Center for Social Research in Rio de Janeiro, Brazil, October 28, 2010; Association of Teachers of Spanish and Portuguese regional conference, Pasadena, CA, October 30, 2010; Centre Social et Culturel Georges Brassens Paris, France, November 10, 2010; Costa Rica International Film Festival, Montezuma, Costa Rica, November 18-21, 2010;and Blastallet Cultural Center, Gothenburg, Sweden, December 7, 2010. Named the 2014 Outstanding Teacher of the Year for College-level Educators by the American Association of Teachers of Spanish and Portuguese (AATSP). 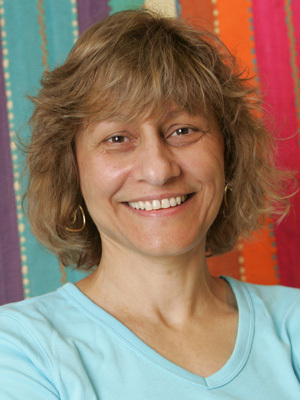 The AATSP award recognized Jorge’s exceptional teaching and her contributions to the scholarship of community-engaged language teaching and learning. May 2014. On behalf of Pitzer College, Professor Jorge was awarded an Andrew W. Mellon Foundation grant to enhance the College’s Latin American Studies program by developing Portuguese language courses and interdisciplinary courses focused on Brazil. This is a collaborative effort involving Pitzer Professors Nigel Boyle, Leda Martins and Adrian Pantoja. July 2013–June 2016. Associate Editor, Hispania, the national refereed journal of the Association of Teachers of Spanish and Portuguese (AATSP), 2009-present.